How often do you clean your yoga mat? Do you dutifully spray it down after every class (recommended) or do you wait until those dark, smudgy footprints appear and then give it a good scrubbing? Ew factor aside, (who knew our feet where that dang dirty!) a stained mat is more than embarrassing; the surface provides a fertile breeding ground for bacteria, which can cause the spread of skin infections (hello, acne), athlete’s foot, toenail fungus, strep or worse! Even if you are conscientious about your mat hygiene, some natural cleaning products aren’t tough enough to kill stubborn viruses, bacteria and fungi — and nobody wants to practice on a mat that stinks of bleach. Enter Blank Yoga and the first self-cleaning yoga mat! This idea is pretty ingenious and perfect for those of us who practice on the reg. 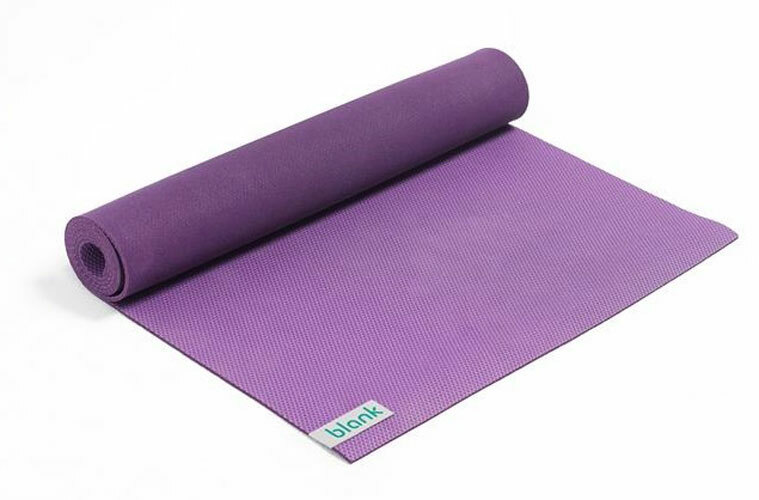 The Blank mat combines silver technology with 100 percent natural rubber to create a more hygienic yoga environment. Silver is a non-toxic germ fighter that’s been around for a long time. (Fun fact: pioneers placed silver coins in the bottom of their wells to prohibit the growth of bacteria.) It’s naturally antimicrobial, meaning it kills germs on contact – 99.9 percent to be exact – and leaves your mat odor-free. The low-maintenance mat is textured on both sides so it stays put and its slip-resistant nubs offer traction for sweaty hands. The cushioning is supportive and comparable with a standard mat (3.5 mm); the extra large size (26 x 71) is thicker (5mm). I like to keep life simple and the Blank self-cleaning yoga mat helps me accomplish just that. After practice I roll up my mat and let the organic compounds in the silver take care of the rest. The last thing you need to get from your yoga class is sick! Keep your practice clean and stay centered.